Farmers in Kerala's picturesque Wayanad are reeling under dire poverty because of lack of basic amenities and the loss incurred after the deadly deluge in 2018. V J Sudheer's coffee plants were detroyed and he incurred a loss of Rs 2 lakh in the Kera floods. Thiruvananthapuram: Wayanad, squeezed between the forests and the hilly parts of Western Ghats, is known for its rolling hills, a wide range of spices, best quality south Indian coffee and a unique variety of rice. But, the farmers of the picturesque district in Kerala are immersed in huge debts and are living in dire poverty, especially after the deadly deluge in 2018. However, hope resides in them, especially after Congress president Rahul Gandhi’s decision to contest from Wayanad in the upcoming Lok Sabha elections. Fifty-year-old V J Sudheer has been a traditional farmer for years now. 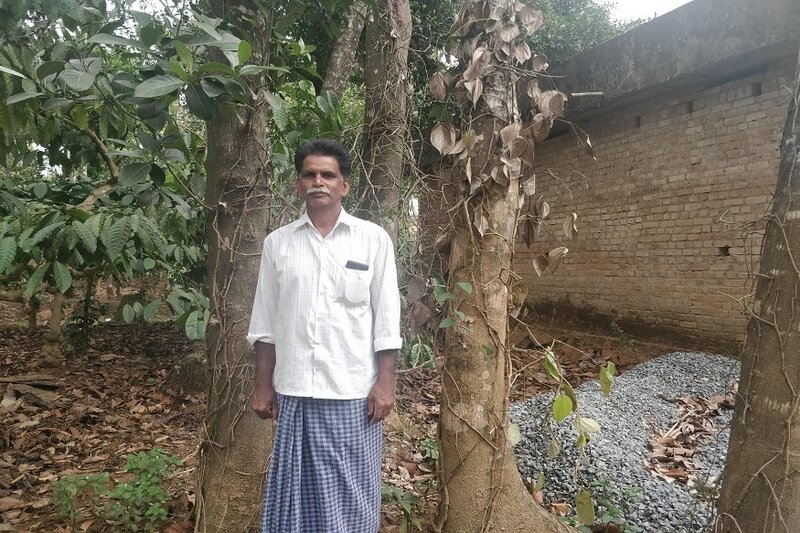 Last year, when the floods caused havoc in Kerala, one acre of his coffee plantation was completely destroyed, which cost him three years of relentless hard work and a loss of Rs 2 lakh. Besides coffee, Sudheer also has a paddy field, which couldn't be sown twice because of floods. “I am really concerned about the future. I don’t know how to go forward. I had taken a loan of Rs 2 lakh, but I have no means to repay them, unless the government provides help. Otherwise, my wife, two children and I won’t survive,” said Sudheer. Sudheer’s story of distress is not an isolated one. Thousands of farmers have been reeling under poverty which only got worse after the deadly floods struck Kerala. There also have been reports of farmers’ suicide in Wayanad post floods. Wayanad’s major produce are coffee, pepper, tea, spices, areca nut and banana. T M Jacob is a traditional farmer who suffered a mammoth loss of 15 lakh during the floods. His entire pepper plantation, which takes five years to reap fruits, was destroyed. Yet, Jacob and his family are happy that a national party president is contesting from their homeland — Wayanad. T M Jacob, who suffered a loss in lakhs during the floods in Kerala. “I am hopeful about Rahul Gandhi. I feel our issues will be solved. From his words to the way he speaks about farmers, makes us hopeful that he will do something for us," Jacob said. Gafoor, convenor of Karshika Purogama Samithi, an organisation of the farmers of Wayanad, said that the moratorium on loans has not been of great help. "Once the moratorium on loans is lifted, the banks will charge with compound interest. The loss is so huge that it will take at least three to four years for farmers to come out of this," he said. In a press conference on April 1, the Congress announced that party president Rahul Gandhi will contest from Wayanad in Kerala. Gandhi will file his nomination papers from Wayanad on April 4.